My mother was barely five feet tall and proudly claimed to be a ninety-eight-pound weakling. When my dad died, she faced the world as a single mom with seven children under 16 years old. At the time we lived in Florida, and our nearest relatives were fifteen hundred miles away. To say that she was on her own was an understatement, but nothing intimidated that woman. Shortly after my father’s death, she decided we needed to move. I was the youngest, so it was all just a great adventure: a family of eight and a dog traveling from Florida to Gallup, New Mexico in 1976 with two young men named Hank and Fudgy that we never saw again. We lived in a KOA cabin for a couple of months, until she found a house for us on the grounds of a Catholic monastery atop a small mesa. I did not learn until I was an adult that she chose Gallup by literally throwing a dart at a map. To say that Barbara Jean Deighan was fearless would be an understatement. She was TNT, tiny and with a very short fuse. She would stand toe-to-toe (although rarely nose-to-nose) with anyone, and the smart ones quickly backed down. Gallup, New Mexico was our first stop on our epic journey that included four states and a dozen towns. We never stayed anywhere for long, and wherever we landed, Mom always managed to pull things together. More than once we found ourselves without a home or transportation, but we never did go without. She could procure housing and a car in less than a week, even if she started with nothing. Of all her qualities – grit, determination, smarts, toughness, to name a few – optimism defined her best. No matter what happened, and no matter how poor the odds, she always believed better days lie ahead. The next town. The next job. The next house. Despite so many challenges, she never felt sorry for herself long, and she never seemed to give up. She was always larger than life, and I never doubted her ability to overcome any obstacle. Even as cancer weakened her body, she could convince me that she was getting better, right up to the end. I never doubted she would pull through, even as hospice services started, but she lost that final battle. With seven kids depending on her, Barbara Jean’s optimism was a choice, and her optimism enabled her to be resilient, regardless of the circumstances. She never went on welfare, and she never took handouts. She was not perfect, and neither was the life we lived, but she gave her children all she had. Despite her brokenness, she persevered. Her optimism fueled her, and her resilience sustained us all. 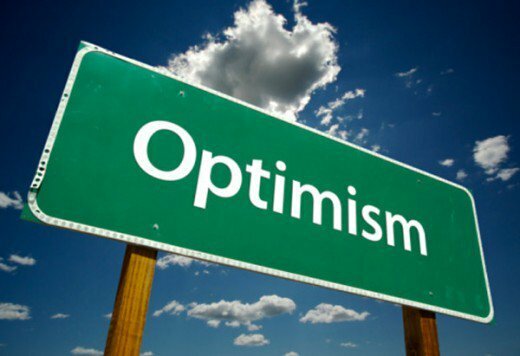 I know many Oklahomans are struggling to stay optimistic right now, especially those relying upon health care, prisons, law enforcement, or education. There is a brokenness among people in our state that scares me, and I am as disheartened as I have ever been with the state of Oklahoma’s affairs. Many Oklahoma educators are finding it hard not to give up on our state right now because 23rd and Lincoln seems fifteen-hundred miles away. Fortunately, the bulk of our state legislators have proven themselves willing to be Oklahomans before they are Democrats or Republicans, so hope remains. Nevertheless, as educators you have hundreds of eyes looking to you. Every day you decide if they will be scared or if they are going on a great adventure. Your optimism is infectious, and it will always lead to resilience, for you and for those depending on you. It is the only choice left for all of us ninety-eight- pound weaklings, especially when so many smaller ones look to us for their daily adventure. Please, don’t give up just yet.